In addition to your Australia Trek Leader, your Trek Management Team and Trekking Crew are an essential part of every team trekking the Kokoda Track. 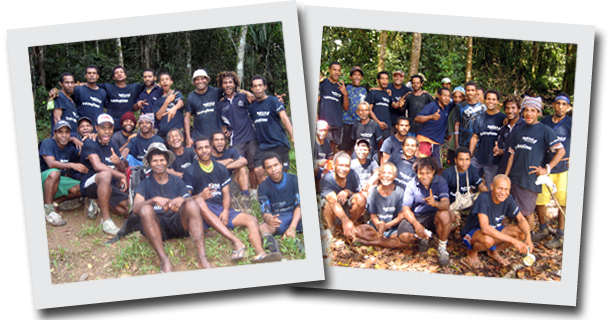 The majority of your Trek Crew come from Naduri Village, halfway along the Kokoda Track. You may have the opportunity to meet their families when we stop to respect and honour their Sabbath beliefs. 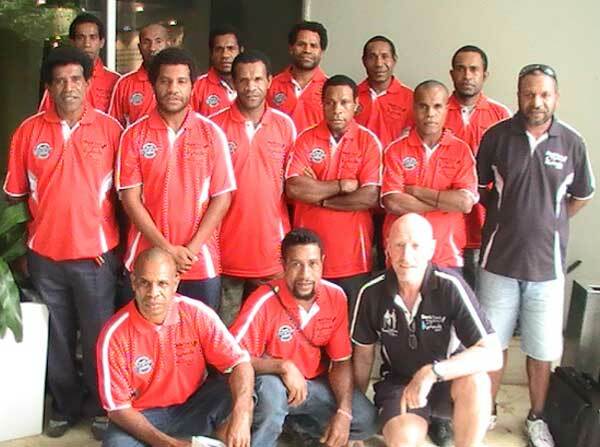 Our PNG crew are the direct family of the original Fuzzy Wuzzy Angels.  Back Track operate their Kokoda operations from both Brisbane and Port Moresby. Andrea Turner is the Kokoda Operations Manager based in the Brisbane office. Also based in Brisbane office are Ray Baker, Jim Drapes, Clare Davissen and Prue Barker. Ray and Jim both lead teams across the Kokoda Track. Andrea, Clare and Prue have successfully completed the Track in recent years. Andy Ovoru is our Operations Manager in PNG. 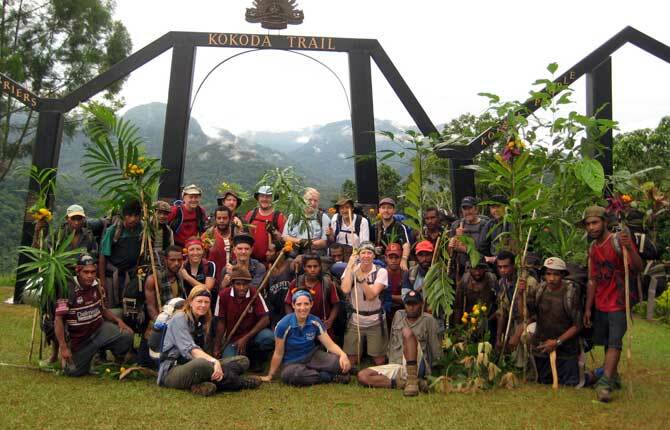 All Kokoda trekking teams are accompanied over the Kokoda Track by their Australian Trek Leader and a PNG Management Team. Your Trek Management Team consists of a Head Guide, Lead Man and Cook. All our Management Team members are selected for their expertise, experience and leadership qualities. New in 2019, is the appointment of a Team Safety officer in each trekking group. Their duties involve maintaining and supervising high standards in safe trekking practices, hygienic food preparation and overall health issues for crew and trekkers. Meet some of our PNG Management Team members. There is a ratio of 1:1 trekking crew to trekkers and trek leader. The Trekking Crew (porters/carriers) carry food, mess equipment, tents and other camping equipment. They also watch out for all trekkers during the course of the days walk. During each days’ walk, they will always assist at river and creek crossings, difficult sections of trail, and generally look after the welfare of all trekkers. For an additional fee, you can obtain the services of a Personal Porter who will carry all your gear on the Track. We strongly recommend this service if you are unsure of your ability to carry a heavy 15 kg pack over steep and treacherous terrain in uncertain weather conditions. By hiring a Personal Porter you provide good paying work to a grateful villager and you will only have to carry a small day pack with your water and daily needs. Your day pack will only weigh 5kgs. Your Personal Porter will walk with you and assist if required. Important note: If you hire a Personal Porter you still must train as intensively as if you were carrying all your own gear. The fitter you are the more you will enjoy the experience. Even with a Personal Porter, the trek is physically and mentally challenging. Two trekkers who are travelling and booking together may hire a Personal Porter between them and in this way lessen their load and share the cost. Not recommended in all cases. It is usually best that you have your own porter. Pack for Personal Porter: For trekkers requesting a Personal Porter, an 80 litre on loan pack is provided as part of the Porter cost. Your pack will be available in Port Moresby the day before you commence the trek. You will be introduced to your Trek Crew and your Personal Porter, if you have requested one, on the first day before you start walking. The introduction ceremony is simple. We all line up, trekkers and trek crew in two facing lines. You then pass along the line and shake everyone’s hand in turn. This is a very polite ceremony which usually erupts into much laughter and noise as we all struggle with pronouncing each other’s names. Needless to say, it will be impossible to remember every name. The ceremony ‘breaks the ice’ and starts the process of cementing the trek party into one team. Your trek crew may speak a little or a lot of English, however, they will understand English very well. They are not necessarily shy; however, they usually look to the trekkers to start the conversations especially on the first day or two. You will soon learn that your trek crew love their job and they especially like walking with Teams who are prepared to mix freely and speak with them. Much of the enjoyment of walking the Track is derived by good interaction with your trek crew. Back Track Australian Trek Leaders always foster and encourage good relations between trekkers and crew. Your Trek Crew are wonderful people.